Get it right from day one. The BSG site safety folder contains all the essential documents for setting up a new site from scratch. From the Site Administration Checklist to the COSHH poster it provides a wealth of information and all the forms and documentation required to manage a construction site including an accident recording book, inspection registers and HSE guidance notes. Site induction procedures with all the forms necessary are also included along with advice on preventing fires and what to do in the event of a fire. The Building Safety Group’s Site Safety Folder contains all the essential information and solutions for your day to day site management needs. 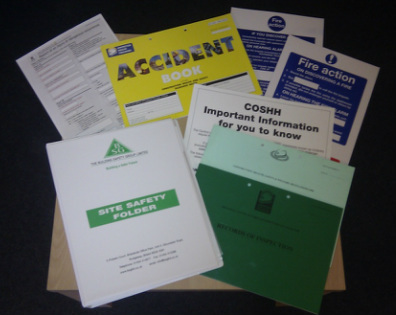 The comprehensive Site Safety Folder is only available to BSG members and costs just £75.00 (+ VAT & postage).